After success at U23 level in the continental arena, the Korean newspaper believes that Vietnam can completely whitewash Thailand at the AFF Cup later this year. Two consecutive times in 2018, U23 Vietnam is creating a great resonance on the continent arena when it won the runner-up rankings Asian U23 Asian and 4th place ASIAD 2018. That helped the position of football Vietnam improved. great number of. Impressed with the demonstration of student Hang Dong University seo, Korean media are confident that success will continue at AFF Cup last year, where the Vietnam Tel is expected. very high. Sports Seoul said that in Southeast Asia, the only team in Vietnam is Thailand. However, the AFF Cup defending champions no longer hold the number one spot in the previous years and it is not unexpected for the Vietnamese team to surpass this rival.
" Vietnamese football has achieved the best in ASIAD history when it reached the semi-finals." The fairy tale has not stopped here yet. Wait for them to be AFF Cup. AFF Cup is more meaningful than Asian U23 and ASIAD so much. Hope this year's championship is very high as Vietnam advances and Thailand is leveling off. Vietnam, the strongest team in Southeast Asia today, can believe that the AFF Cup championship is natural. " ก็หวังว่าเวียดนามมีโอกาสได้แชมป์ AFF2018 สูงเพราะเวียดนามกำลังขาขึ้นแต่ไทยขาลง เวียดนามในฐานะทีมที่แกร่งที่สุดในอาเซียนวันนี้สามารถหวังถึงแชมป์ AFF2018 ได้โดยชอบธรรม"
ไทย ( ญี่ปุ่น ไอดอล ) VS เวียดนาม ( เกาหลีใต้ ไอดอล ) = ??.. Incheon International Airport = Sports Seoul Kim Yong Il] Vietnamese soccer coach led by Park Hang-seo will 'all-in' at the Suzuki Cup (Southeast Asian Football Championship), the highest authority in Southeast Asia from November 8th to December 5th. Park led the Vietnamese soccer syndrome with a four-legged Asian game after the runners-up of the Asian Football Confederation under the age of 23 this year, and is dreaming of Hwangryongjang as the winner of the Suzuki Cup. Vietnam has reached the summit for the first time since defeating Thailand in 2008, but has never won the tournament. He is going to win his second overall title in just 10 years as he rises in the blast system. The Paju national team training center (NFC) is expected to become its outpost. Park said, "The Vietnamese team will train for the Paju NFC from October 17 to 27, ahead of the Suzuki Cup. I also got a schedule for the national team. " Park also said, "The Vietnam Football Association asked for cooperation with Korea in the dimension of the Suzuki Cup. With the help of Korea Football Association (PFA NFC training), it was concluded. K-League matches, so I will go back to two unofficial matches with a team of about 1.5. " The Korean Football Association has decided to allow the Vietnamese national team to join the NFC in Paju starting on October 17, the day after Uruguay (October 12) and Panama (October 16). The Suzuki Cup is held every two years by 10 countries in Southeast Asia in a home and away manner for over a month. 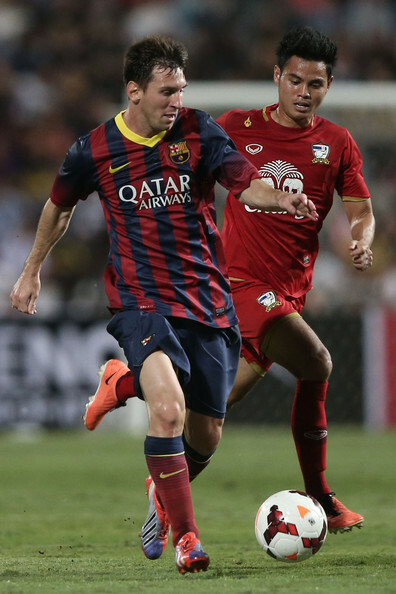 Southeast Asia is soaked with soccer heat during this period. Vietnam were in Group A with Malaysia, Myanmar, Cambodia and Laos. Thailand and Indonesia, which are in Group B. The U-23 Asian championship and the Asian championship have become Vietnamese national heroes. Park's co-leader in the Suzuki Cup summit is helping his fellow leader in both ways. And Jeong Hae-sung, who is in charge of the Vietnamese V-League Hoang Jian Rai, as well as the staff of Vietnam national team, including Lee Young-jin, coach. The last Asian game included five players from Hoang Jian Rai. Leong Suyong tsu, who played in Gangwon, is also playing at Hoang Giang Rai. It is already attracting attention that Park will be able to succeed in the Suzuki Cup recapture with the strong support of his country and Vietnam. ข่าวจากเกาหลี ไม่ได้พูดอะไรเกี่ยวกับทีมไทยมากเลย ไม่ได้บอกว่าเราHowever, the AFF Cup defending champions no longer hold the number one spot in the previous years and it is not unexpected for the Vietnamese team to surpass this rival.